Customised metal oval badge with a framed backing and safety clip. 2.68 inches by 1.57 inches. 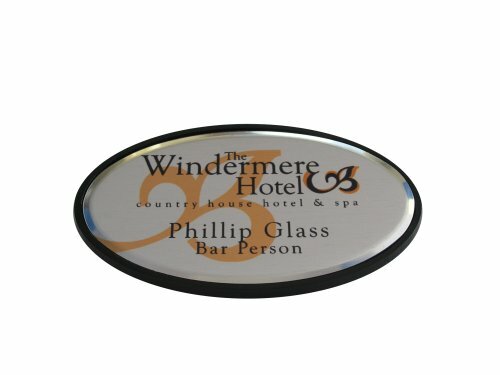 Personalise this classy badge with your own design.